USCharters.org: New Book About SABIS®, "From Village School to Global Brand: Changing the World through Education," by Professor James Tooley. 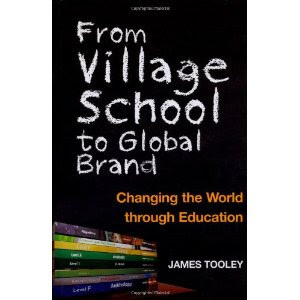 New Book About SABIS®, "From Village School to Global Brand: Changing the World through Education," by Professor James Tooley. Q. Can education be run as a profitable business and still be driven by a humanitarian vision? A. SABIS® shows the answer is yes. With eighty schools in fifteen countries and over sixty thousand students, SABIS® is a global education company committed to improving lives. SABIS® has successfully managed schools for 126 years—including the first charter school to reopen after Katrina—and this fascinating history explains the new paradigm it is spearheading and will appeal to anyone interested in education. James Tooley is a professor of education policy at Newcastle university, where he directs the E. G. West Centre. He is currently chairman of education companies in Ghana and China creating embryonic chains of low cost private schools. He is the author of numerous books on education including The Beautiful Tree: A personal journey into how the world’s poorest people are educating themselves, and Educational Equality which he co-authored. From Village School to Global Brand is now available on Amazon and on Kindle. For more information about SABIS®, visit www.sabis.net. Excellent blog! I truly love how it is easy on my eyes and also the info are well written. I am wondering how I can be notified whenever a new post has been made. I have subscribed to your rss feed which need to do the trick! Have a nice day! Now that's a rare thought. Most postings I read about for-profit schools have them to be more focused on the profit and a bit less on the humanitarian point. I am really enjoying reading your well written articles. I think you spend numerous effort and time updating your blog. I have bookmarked it and I am taking a look ahead to reading new articles. 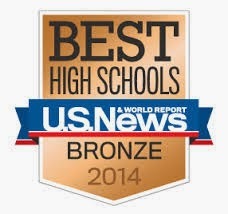 Please keep up the good articles!